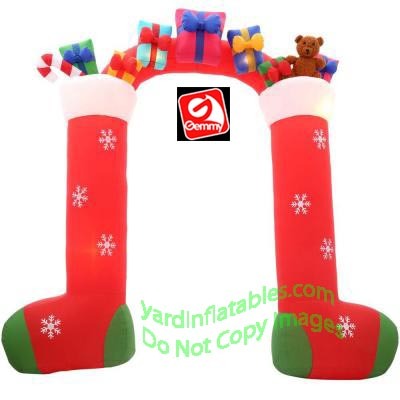 Archway made with 2 Stockings and Presents! 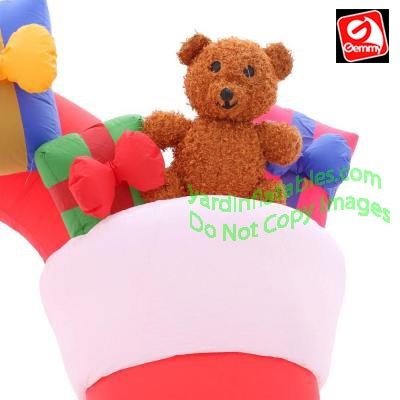 The Bear is a plush material! 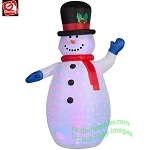 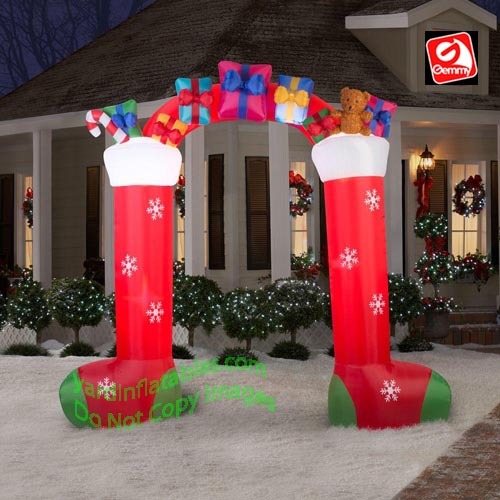 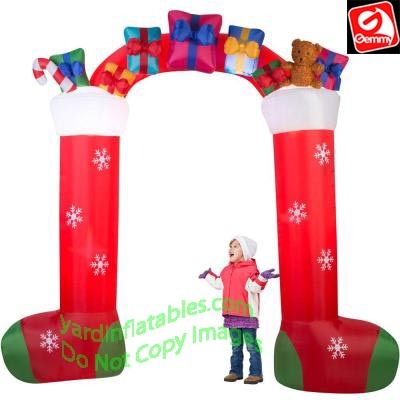 This Gemmy Air Blown Inflatable Christmas Decoration comes with built in Heavy Duty fan, internal lights to create a glowing night-time display, yard stakes, stand and tethers.